FinnAxia supports a wide range of Payment mode and instruments which includes Electronic payments through IFT, EFT, RTGS gateways, Regional Payments, Instant Payments, Paper Based Payments through Cheques and Draft. The frequently paid suppliers and vendors can be registered by the customer for quick and secured payments to intended beneficiary. FinnAxia provides facility to setup and process electronic payments for real time and near real time settlement. 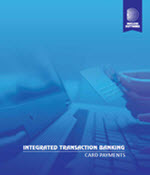 This includes Internal and external bank account transfer of funds. The system supports processing of IFT, RTGS, NEFT and SWIFT messages for end to end integration with bank's hosts and payment gateways. Support for additional message protocols can be done with minor customization. Message gateway component of the payments software is a Centralized Hub that enables bank to have a centralized repository for release of electronic instructions. It provides real-time position for all incoming and outgoing payment instructions. A comprehensive and robust printing application that supports Instrument and Advice designing, Inventory Management and Centralized and Remote Printing. The designer has a set of tools and grid controls powered by drag and drop facility to place the payment attributes placeholders on desired area of the artwork. Capability to print signatures of the authorizer or of the signatories as defined in account rule based on amount slabs. System facilitates the user to design the salary slip formats as per the corporate requirement with necessary fields. After successful upload of a payroll file, system has the capability to generate pay slip as per the template designed. Corporates demand more convenience and tighter control over their finance so, banks need efficient systems to achieve full revenue potential from payment transactions. FinnAxia Global Payments is a value enhancing payment solution that enables banks to handle both low and high value payments of corporate such as vendor payments, salaries and tax payments. 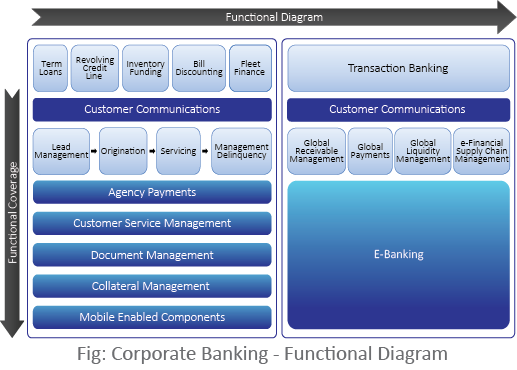 FinnAxia Mobile Transaction Banking (mTB) is an offering for Additive (existing bank customers) and Transformational (new bank customers) transaction banking services. This banking software offers a wide range of mobile banking services with out of the box features across Payments, Receivables, Liquidity Management and Account services encompassing multi entity, multi-currency transactional banking solution. FinnAxia Business Internet Banking is a delivery channel for bank's customers, offering convenience to bank anytime and anywhere. It allows banks to provide easy access to information from multiple back-end systems as relevant data into a single customer view. By assisting our systems with flexibility in launching new products and credit evaluation, CAS retail module from Nucleus’ state of the art, FinnOne™ suite, will allow us to go more aggressive in the consumer segment and penetrate the consumer lending market more effectively.